There are many things that make this video awesome. It is always fun and inspiring to watch someone find out they have fulfilled their life’s dream. Pugh has a lot of work ahead of him but the offensive lineman out of Syracuse will be an NFL player – one drafted in the first round no less. Restraining his excitement while on the phone with Coughlin looked very difficult but he maintained his professionalism. Then, when he hung up, we got to see the real reaction as Pugh was mobbed by his friends and family. A very cool moment that I’m glad someone recorded and put on YouTube. There are also two subtle parts of this video that are hilarious. First, the friend’s reaction when Pugh says “I can’t wait to be a Giant.” The guy looks shocked and disgusted at the thought of his friend putting on a blue uniform. Justin is from Pennsylvania and he and his friends are Eagles fans, so this is understandable. But even during Pugh’s biggest professional moment, his friends’ fandom still reigns supreme. That’s the way it should be too. This also explains the Eagles jersey that was part of the group that swarmed Pugh after he hung up the phone. Finally, the “you’re my boy” Old School shirt with the picture of Joseph “Blue” Pulaski is fantastic and needs to be acknowledged. Congrats to Pugh and I can’t wait to have him on the squad. Seems like he will add some much needed depth to our offensive line. He will also have a familiar face in training camp as the Giants took Ryan Nassib with their fourth round pick. Coughlin loves those Syracuse guys and I think he got two real good ones in this year’s draft. The game was delayed because the home plate umpire swallowed his dip and needed to go throw up. That’s right, a professional sporting event was halted because the man calling balls and strikes accidentally gulped down his chew. 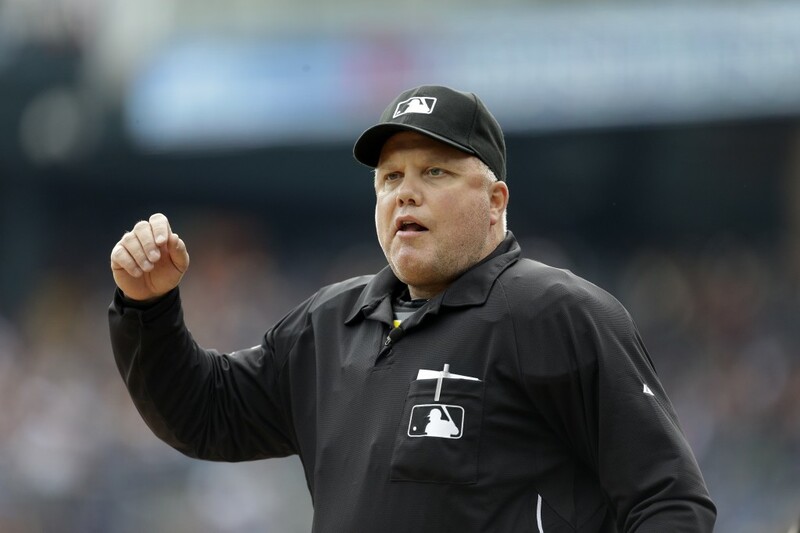 The offending home plate umpire Brian O’Nora left the game after the 1st inning. Aside from this being disgusting, it’s pretty hilarious but it’s not even the most ridiculous umpire-related delay this season. Two weeks ago, the Nats/White Sox game was delayed 15 minutes because the umpires were stuck in traffic on the way to the ballpark. You can’t make this stuff up. The real lesson here is that umpires are people too. Sometimes they make the wrong call, sometimes they’re stuck in traffic and sometimes they swallow their Big League Chew. As baseball creeps more and more towards new technology with video replay and an automated strike zone, please don’t forget about the human element of the game and the role the umpires play. Where will our chewing tobacco and traffic-related delays will come from? Those can’t just go by the wayside, they’re just too funny. UPDATE (4/30): It turns out Brian O’Nora actually did not swallow his dip as was previously reported but left the game early because he was feeling ill. He has since been diagnosed with an intestinal tear. I apologize to him and take back everything I said. The umps getting stuck in traffic still really happened though and that’s still hilarious. If there ever was time for an F-bomb, that was it. Even the FCC didn’t have a problem with it. Big Papi’s speech was one of the best and most succinct player speeches I’ve ever seen. The ceremony celebrated the heroes, remembered the fallen and highlighted the unity of not just the people of Boston, but the entire country. Well done and the Red Sox even won the game on an emotional 3-run HR reminiscent of Piazza’s 2-run HR in the first game at Shea after 9/11. With everything that Boston went through during the past week, that was a much needed and well deserved celebratory afternoon. Stirring stuff at the Boston Garden last night. Tragedies like the bombing at Monday’s Boston Marathon are becoming all too common but it’s truly inspiring to see everyone come together during such difficult times. I recently read that the human race is at its best when things are at their worst – that was definitely true on Monday. I have so much respect for the first responders who ran towards the bombs to help the injured. Policemen, Firemen and Military personnel, who were unaware if more bombs were about to go off, didn’t think twice about running towards the explosions. They are heroes and I’m proud to live in a country that has such fearless public servants. I needed that reminder that “the good outnumber you, and we always will.” Prayers for everyone in Boston and I know the city and the entire country will bounce back stronger than ever. I’m sure that the one thing the Dodgers feared most when they singed Zack Greinke to the largest ever contract for a RHP (at the time) was injury. I’m also sure that this was not the way they thought their biggest worry would come true. LA’s new $147M man suffered a broken collarbone after he lowered his shoulder on an attacking Carlos Quentin. 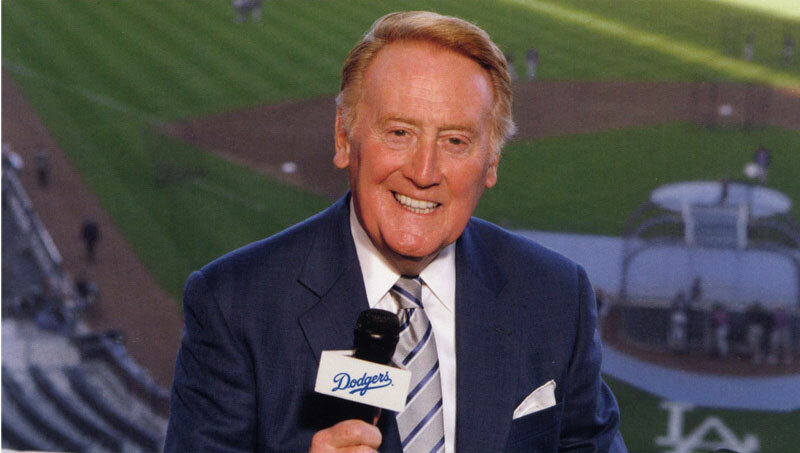 It is unknown how long he will be out or if he will need surgery but the Dodgers will definitely be without their offseason acquisition for the foreseeable future. It was fun to watch a heated brawl between division rivals but in this case I don’t think a charging of the mound was warranted. Given the game situation (3-2 count in a 1-run game with a runner on first), I find it very hard to believe that Greinke intentionally hit Quentin. Quentin cited a history between the two, which is a fair point considering that Greinke hit Quentin in 2008 and 2009. Baseball players never forget. But a lot of people have hit Quentin before – only 6 active players have been hit by a pitch more than Quentin. He also has a reputation for leaning in and crowding the plate. In this particular instance, he did not lean in but Greinke hitting Quentin last night didn’t seem malicious or intentional. The pitch just got away from him. Quentin didn’t see it that way and took matters into his own hands. Greinke is much smaller than Quentin so getting low to the ground and using his shoulder like a linebacker seemed like a good idea – that is of course until he got hit and broke his collarbone. Quentin will be suspended but he will definitely return to the field before Greinke, which really irks Dodgers Manager Don Mattingly. The scuffle continued after the game in the hallways by the locker rooms, a la Prince Fielder or Melo and KG. Kemp had some choice words for Quentin and needed to be restrained before getting on the team bus. The best part of all of this is that the teams play each other again on Monday in LA, which led to this great tweet from the Dodgers. A little bad blood between division rivals certainly won’t disappoint any baseball fans. It’s a long season but Greinke’s absence won’t help a Dodgers team that desperately wants to win right now. Lucky for them, Kershaw wasn’t involved in the scuffle. LA’s true ace has not allowed a run yet this season in 16 IP. This weekend should give both the Padres and Dodgers enough time to calm down but I will definitely be tuning in on Monday (which is also Jackie Robinson Day) to see if there are any more dust ups. During a commercial break of Saturday Night Live last week, the above 15 second clip played. It was one of three that previewed new songs that will appear on Daft Punk’s new album due out on May 21st. Well, these little clips set the Internet on fire with excitement, rumors, speculation, remixes and looped tracks of the commercial like the one below. Daft Punk is doing it right. When you release three 15-second clips and get this kind of attention, you can do whatever you want. In the age of YouTube, it’s impossible to keep anything a secret anymore but Daft Punk is mastering the art of the viral album promotion. They’re the fathers of electronic music and have managed to still set the tone for the genre even after it’s popularity has exploded into the mainstream over the last 5 years. I love Daft Punk and I can’t wait for their new album. In the meantime, I can’t stop listening to the looped Saturday Night Live teasers.